I hope you all had a great weekend. While I don’t think I spent a lot of time reading, I did finish two books which I’ll tell you more about soon and I made progress on a couple of others. I was also planning to work on some crafty projects but I ended up being sucked into two issues of RT Book Reviews Magazine. I really enjoy this magazine. I know it’s main focus is on reviews of romance novels, whether they are historicals, contemporary or series books, but over the years the magazine has expanded its coverage to include YA novels, mysteries, inspirational and even fantasy. I don’t read many romances, maybe one or two a year, but you know I love mysteries so while that may be the main reason to get this magazine, I also do enjoy reading about the other books. Inevitably there are books from other genres that capture my attention too. Any of you read this one? 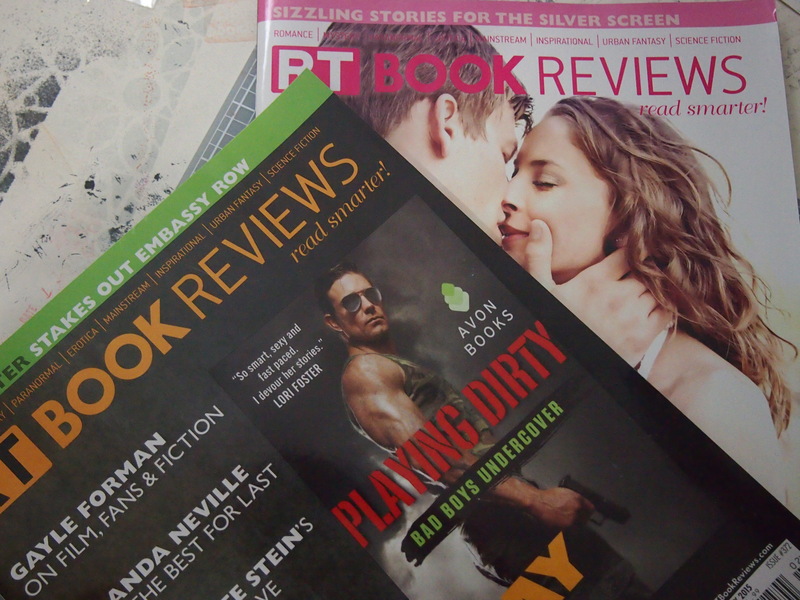 What are some of your favorite magazines for book reviews? Now, I’m off to finish reading Doll God by Luanne Castle. I’m excited to take part in the poetry tour for this new collection. Tell you more about it in my next post! I did like the way that RT gave such a broad view of books in lots of genres. I can totally see how you’d get absorbed in reading it. I used to subscribe to this magazine years back but had stopped so as I’d subscribed to too many then. Now I don’t have any subscription and focus on books instead, lol. I’m glad RT has expanded their coverage, though. I don’t subscribe to any magazines about book reviews. I imagine the internet has curbed the circulation of many magazines of this type. Good for you having a nice reading weekend! I haven’t heard of this magazine! But you make me want to check it out. 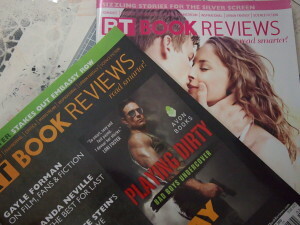 I don’t read much romance or mysteries either but I love reading review magazines or any book-related magazines. The EW has a (very) few sections devoted to book reviews, otherwise I stick to online review sites like Salon or NYTimes. I haven’t heard of this magazine either–I’m sad to admit that when I come to the “Book Review” section in magazines I usually take note of the titles without reading much else of the content. I do love a good bookish column that isn’t review based, though! Entertainment Weekly has some fun ones on occasion.